Anyone wishing to report a fuel drive-off must properly fill out and have signed by the station manager an incident report and a witness statement. By completing the Fuel Drive-Off Incident Report and Witness Statement you are agreeing to assist in the prosecution of suspects when they are identified and arrested by the police. You may either drop off the completed complaint form or fax it directly to the Dispatch Center at 330.726.4170 for assignment to an investigator. Anyone wishing to report an ongoing traffic complaint or request extra traffic enforcement may contact the Traffic Unit Supervisor, Lieutenant John Allsopp, at 330-726-4150 ext. 61866. You can leave a voice mail message. 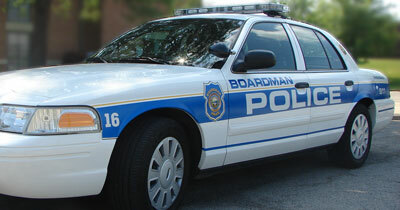 Complaints can also be sent by e-mail to trafficcomplaint@boardmantwp.com. Anyone wishing to report a tip or other information on illegal drug activity may contact the Narcotics Enforcement Unit Supervisor, Sergeant Michael Hughes, at 330-726-4150 ext. 61837. You can leave a voice mail message. 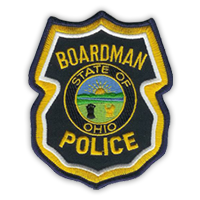 Tips and information can also be sent by e-mail to drugtip@boardmantwp.com. Anyone wishing to report a tip or other information on criminal activity other than drugs may contact the Criminal Intelligence and Crime Analysis Unit at 330-726-4150, ext 61860. You can leave a voice mail message. Tips and information can also be sent by email to crimetip@boardmantwp.com.